It’s 2009. A 25-year-old Steven Carse (recently laid off from a cushy job at AIG) crashes on his brother’s couch, saving money to start a gourmet popsicle business. He’s inspired by the cool handmade Mexican treat known as the paleta, which the Carse family fell in love with during travels to Latin America. 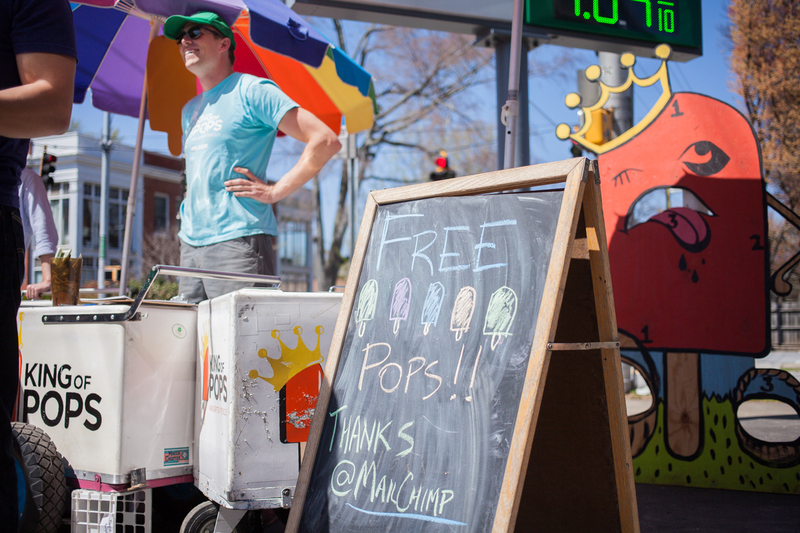 And since $6,000 in startup cash won’t quite cover the costs of a storefront, he launches the old-fashioned way: by pushing a single (used) pushcart with a rainbow umbrella to an Atlanta street corner. 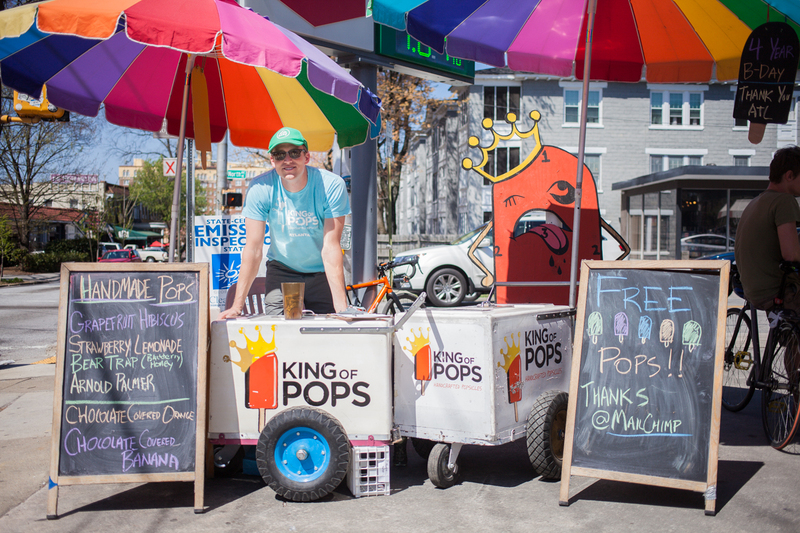 Soon, King of Pops — and its ever-evolving roster of flavors handcrafted from locally sourced ingredients (think Chocolate Sea Salt, Pineapple Habanero and of course, Fresh Georgia peach) — earns a loyal cult following, which spreads via Facebook and Twitter. Steven’s middle brother Nick, a lawyer, agrees to quit his job and work on King of Pops full time too. This irresistible startup story lands Steven and Nick in publications from Bon Apetit to Fast Company; more importantly, it captures the attention of thousands of Atlanta residents who line up eagerly for a taste of summer. Today, the company has 24 full-time and 90 part-time/seasonal employees, three test kitchens and locations in seven U.S. cities; Carse projects that sales in Atlanta will top $3 million for 2014 (plus approximately $1 million combined from their six satellite locations). Growth is steady, but thoughtful. The question is, how do you develop the kind of brand magic that leads your customers to write Yelp reviews like this: “I’m fairly confident I would barter my body for a Banana Puddin’ Popsicle from King of Pops“? Figuring out new ways to capture the power of street food — the best of which wraps taste, memory and a sense of place into every bite — is art, not science. “It’s a gut feeling…Never giving into a gimmick, ever, allows us to remain authentic. People can sense that.” As the brand grows and some of its novelty wears off, that authenticity is crucial. “I go to the same spot we started at once a week, and there are a lot of people that want to work with us and align our business with theirs,” Carse says. He emphasizes the importance of working with businesses that align with company values and provide a mutual benefit. For instance, to support a local video store, King of Pops did a temporary run of 30-dollar “movie packs” complete with a free video rental and pops in flavors like Coke float and Junior Mints. 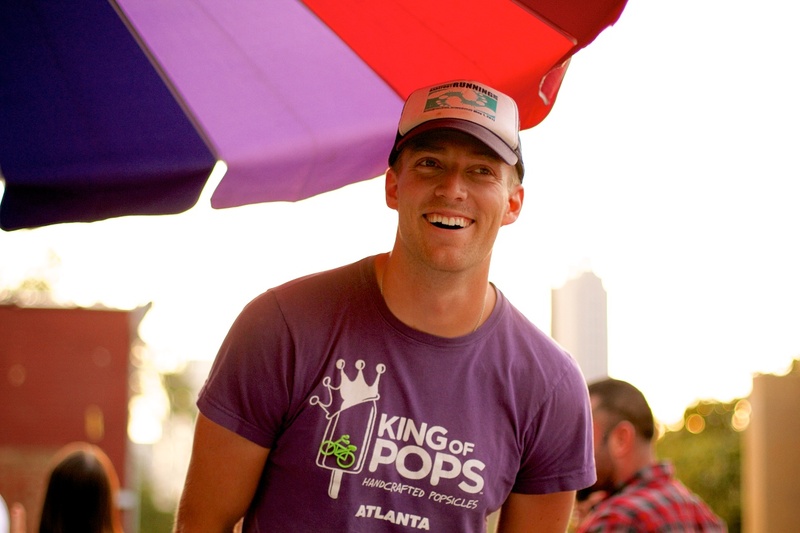 There are now six satellite locations, but Carse’s initial reluctance about expanding such an Atlanta-centric brand actually helped them hit on a novel approach to expansion: let each new location “lead with [its] own story.” Since King of Pops attracts people who fall hard for the brand vision, it’s been easy to do. One of the Carse’s college friends, Paul Cassimus, launched the Richmond operation after quitting his job teaching Spanish. “He didn’t have the good fortune of being laid off,” Carse says, “but [his story] has gotten him on the front page of the Richmond-Times Dispatch food section. He did that himself, through word of mouth and sweat.” Cassimus embraces Richmond’s own unique vibe, collaborating with local businesses and working nearby festivals. What’s next? A 68-acre farm outside Atlanta, where the Carses plan to grow fruit and herbs, host events and realize their dream of bringing customers right to their product’s source. This feature originally appeared in our Fall 2014 issue of YEC Quarterly, our print magazine for YEC members. If you’re a YEC member, feel free to download all previous issues of YEC Quarterly here.